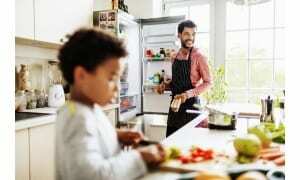 Best Dishwashers 2019: Best Buys And Expert Buying Advice - Which? Choose the best dishwasher for you using our expert buying guide and independent dishwasher reviews. Buying a great dishwasher means kissing goodbye to washing up by hand. Our expert guide tells you what you need to know to buy the best dishwasher for your home. One dishwasher may look like another, but our rigorous tests have revealed huge differences in how well they clean and dry. The best will leave your crockery gleaming, while the worst will see you standing at the sink re-washing still grubby plates and bowls. Picking the right model for you also comes down to your budget, the size of your kitchen and the capacity and features you want. Delay start - most dishwashers come with a delay timer, which allows you to set the dishwasher hours before you want the wash program to start. Adjustable racks - if you regularly host dinner parties you might want adjustable racks so you can fit platters and wine glasses in with ease. A child-safe lock - will protect your dishwasher’s control panel from curious little fingers. Large spray head – this extra feature can be used on extremely dirty items, such as roasting trays. Anti-flood protection – this prevents flooding if something should go wrong. Sensor wash or fuzzy logic – a more advanced feature, this measures how dirty the dishes are, and adjusts the temperature and length of the wash accordingly. Be careful not to pick an inefficient machine. Although most models have an A rating for energy efficiency, this doesn’t mean they won’t guzzle gallons of water during each wash. Which? rates each machine out of five stars for water and energy use. Shop smart and you could save yourself £37 every year. We've selected our pick of the best dishwashers to help you find the right model for your home. These models are great all-rounders and will leave your dishes sparkling clean - they are the very best dishwashers that we've tested this year. This is currently the highest scoring dishwasher we've tested, thanks to impressive cleaning and drying ability, simple loading and unloading, and efficient use of water and energy. This high-scoring Best Buy ticks all the boxes and would make a great addition to any kitchen. It cleans brilliantly, dries well and doesn't use much electricity or water. This dishwasher is worth pushing the boat out for. There really are very few flaws with it: it cleans and dries brilliantly, is efficient enough for us to class it an Energy Saver, and is easy to use. Whether you want a compact, slimline or full-sized dishwasher, we’ve got a top-scoring model for you. Hundreds of dishwashers have passed through our labs, including models from Beko, Bosch, Hotpoint, Miele, Zanussi and others. The picks in the table below are some of the very best dishwashers we’ve tested. This full-sized dishwasher can clean 140 items in one wash, and it's got plenty of features such as a child lock, anti-flood sensor and a delay start. But how well did the it clean away sticky baked-on food such as egg, mince, spinach and oats? And how easy is it to load the machine with 14 place settings worth of crockery, cutlery and glassware? Read our full review of this dishwasher to find out. This semi-integrated slimline dishwasher may be small, but it's packed with features including a child lock, anti-flood sensor and a delay start function. It's an expensive machine though, so how does it cope with dirty dishes smeared with baked-on egg, mince and spinach, and glasses clouded with milk? 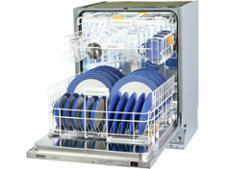 Find out if this dishwasher is worth the money by reading our full review. This semi-integrated one-drawer dishwasher that has room for 60 items. It has a child lock, a delayed start feature and six programs to choose from. 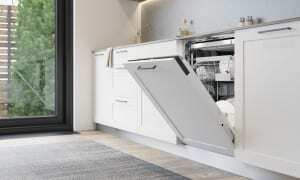 But can this dinky drawer dishwasher get your dirty dishes sparkling clean? Read the full review to find out how it coped with sticky baked-on egg, spinach and mince in our tough lab tests. Freestanding dishwashers are designed for front door to remain fully visible. They're available in a range of colours white, black, grey and silver. Integrated dishwashers are designed to be incorporated into built-in kitchens. They fall into two categories fully integrated and semi integrated. Fully integrated dishwashers are hidden behind a kitchen cabinet door. Semi-integrated – where most of the front is covered, but the control panel is left visible at the top. Whether you’re looking for a freestanding, integrated or slimline model, we’ve discovered that spending a fortune doesn’t guarantee quality. In fact, we've uncovered an £800 dishwasher that does such a bad job we've labelled it a Don't Buy, and Best Buy-rated models for half the price. 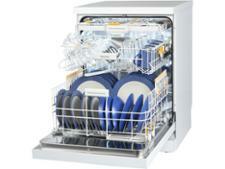 Apart from being noisy, this dishwasher is fantastic, and it passed our tough cleaning tests with flying colours. It dries well, doesn't leave watermarks and the eco program doesn't use much water or electricity. Discover the best and most reliable dishwasher brands, according to our independent test lab reviews and survey of dishwasher owners. We’ve asked thousands of Which? 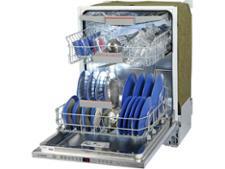 members about their dishwashers, to find out which brands impress when you install them at home. Our tough tests have also uncovered plenty of Best Buy machines that will leave your crockery and cutlery spotless, but we've also found some that fail to shift grime. Our research means you can now see at a glance the brands that should give you unrivalled cleaning over a number of years and those that could prove a costly waste of money. 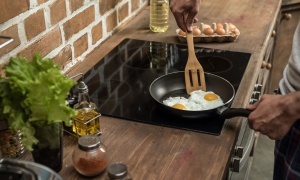 Below, we share what we’ve learnt about the big dishwasher brands – such as Bosch, Hotpoint, Indesit and Miele – and bring you the top names for 2019. Some dishwashers do such a poor job of cleaning and drying in our tests that we’ve labelled them with our Don’t By warning. They're annoyingly noisy and the worst models are awkward to load and unload, too. 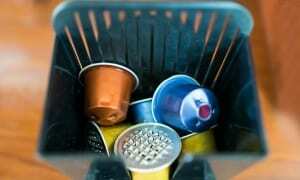 The Don't Buy dishwashers below are definitely best avoided. We weren't impressed by this dishwasher. It's difficult to use and dreadful at cleaning, so you can expect to find traces of last night's supper left behind on your freshly washed dishes. It's definitely one to avoid so we've made it a Don't Buy. This dishwasher does such a poor job of cleaning and drying that we've named it a Don't Buy. It does manage to use both water and energy economically, but this doesn't make up for it not shifting grease and grime from plates. This semi-integrated one-drawer dishwasher that has room for 60 items. This 2017 model, however, failed to clean our dirty dishes, and is a disappointing Don't Buy. Which? is independent – we work for you, the consumer, so you can be sure that our dishwasher recommendations are influenced only by our test results. We don’t take advertising and we buy all the products that we assess ourselves. With more than 50 years expertise in testing appliances, you can trust that we’re the experts in separating the good from the bad. Every dishwasher is assessed in the Which? test lab using a strict range of criteria. From how easy the machine is to load to how much water and energy it uses, our tests will reveal everything you need to know about a dishwasher. Most importantly, we check how well each dishwasher cleans. We dirty dishes with milk, tea, minced meat, eggs, oat flakes, spinach and margarine, baking on these substances in a heated cabinet to ensure we give dishwashers a tough, realistic test. We then go one step further and add in some clean dishes to the load, to see if the dishwasher spreads grime around the dishwasher - you wouldn’t want to buy a machine that just moves dirt from one plate to another.